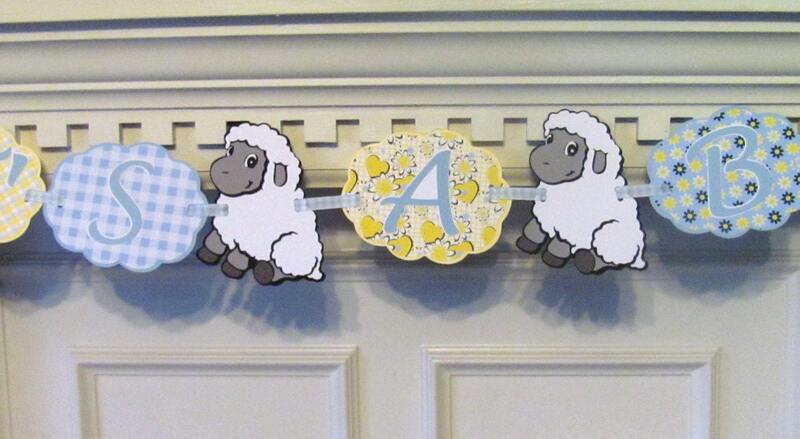 Baby boy shower banner done in soft yellow and blue gingham with cuddly little lambs. 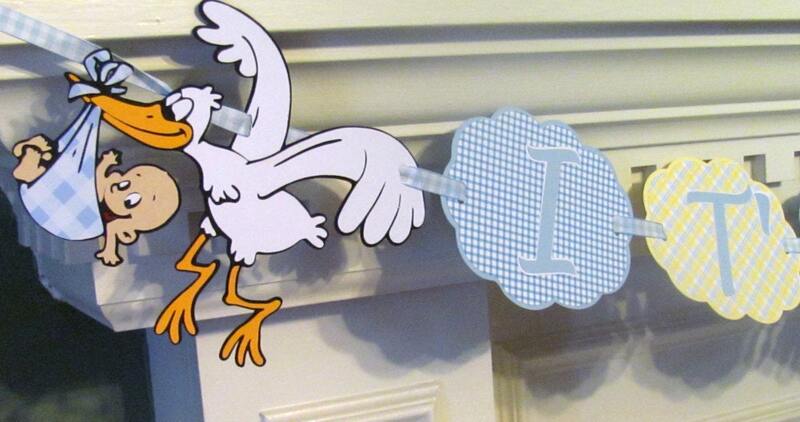 The stork is arriving with the cutest bundle and adding a fun touch to your baby shower. Banner is done in quality card stock and features designer paper in blue, yellow, gingham and daisies -great for a spring arrival or anytime. Banner panels are approximately 5.5 inches wide and banner is approximately 5ft long. 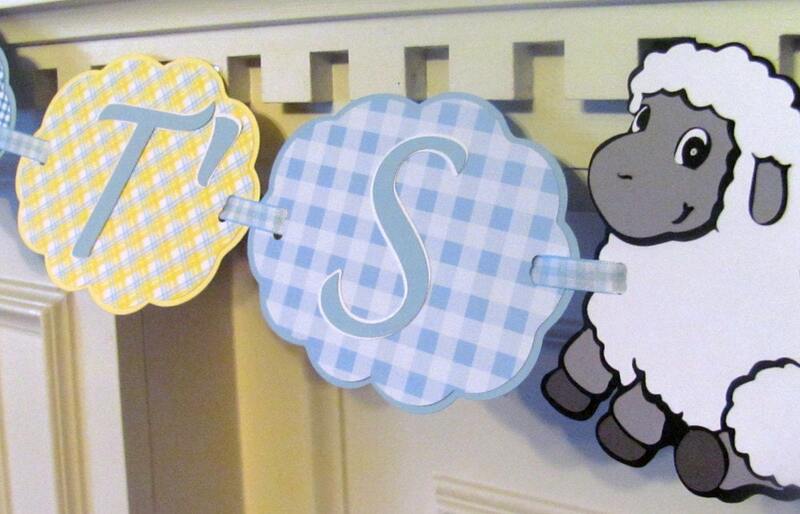 Banner is strung in blue gingham ribbon or you may choose baby blue ribbon with "It's A Boy" written on it- please specify ribbon preference. Have a different wording in mind? Perhaps a name? Just convo me with your request. Custom orders are welcome. Shipments within the US are via Priority Mail and international shipments are via International First Class mail.